This weekend I decided to spend in a casual mode - tradition that I almost forget recently. All started from my new hand made Knit and Cute round scarf which I was lucky to win in Gvozdishe's blog! ) So I added down jacket and sneakers, finishing up with warm color accessories , which appear to be a good choice during a sunset photo shot. 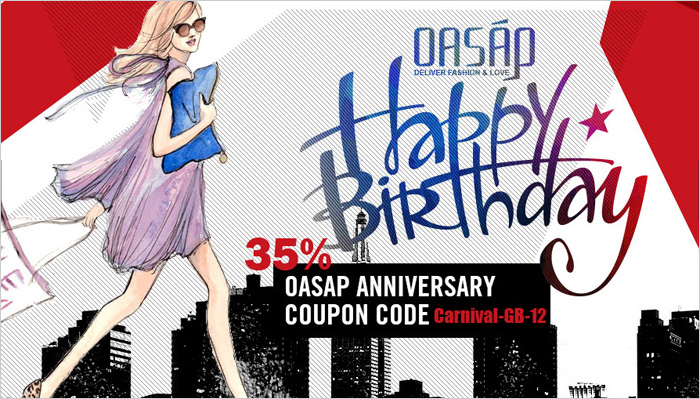 And here is my small Sunday present for you: 35% discount code: Carnival-GB-12 in www.oasap.com store (valid until 15th December)! Вы такая милая !!! чудесный пост ! VERY CUTE, LOVE THE SCARF! Fun, casual look. I love your locket! I am your newest follower on both GFC and bloglovin. In fact, I've shown lots of love on your wonderful bloglovin posts. Hope you'll do the same. the jacket look so comfy! great casual! i really like your style! Отличная casual фотосессия в лучах заходящего солнца! Образ получился очень милым ! cool jacket... like the colour... perfect for Christmas! and your bag is amazing, too! You look so cozy and so comfy! Оля, такой чудесный casual! И такие теплые, добрые фотографии!!! Прелесть! This sport-retro combination looks so chic and pretty! You look so cozy and pretty for fall! LOVE your beautiful necklace. I didn't know you had a lookbook! Would you like to follow each other there too? Let me know! Excellent look, Olga. Looks very comfy but you did not sacrifice style. I like how you paired a scarf with a necklace. I usually think you can't do that, but it works for this look. I may try it soon. Thanks for the inspiration!! какая же прекрасная погода у вас!!! и стиль кэжуал хорошо получился!